The Polycom Realpresence Trio 8800 Collaboration Kit Comes Complete With Trio 8800 Conference Phone, Trio Visual+, Logitech Webcam C930e. 1 Year Warranty + Tech Support Included. 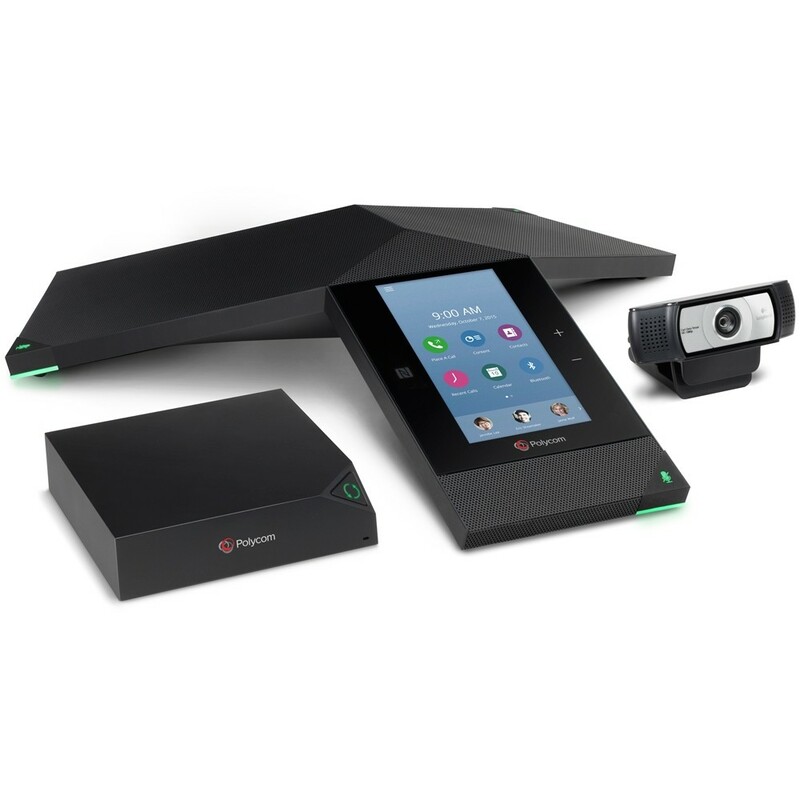 The Polycom RealPresence Trio 8800 Collaboration Kit includes the Trio 8800 Conference Phone, Trio Visual+, and Logitech Webcam C930e. The Trio 8800 conference phone is the latest in Polycom’s line of Iconic three-point conference phones. It features a sleek touchscreen interface combined with industry-leading voice and audio technology. Polycom Noiseblock technology automatically eliminates unwanted background noise and echoes, while Acoustic fence keeps only sounds from within a virtual fence around your meeting to be captured. The addition of the Polycom Visual+ kit and Logitech c930e webcam transform the Trio into fully capable SIP or Cloud-based video conference system. This kit is perfect for small conference rooms and huddle spaces that need to make video calls with users on Skype for Business, Zoom, GoToMeeting, Bluejeans, and more. The Trio 8800 system can be registered to as many web conferencing platforms as needed, with native integration for Skype for Business and Zoom Rooms. The RealPresence Trio 8800 collaboration kit is an excellent choice to add cloud video conferencing to your smaller meeting rooms.